The Q&A With… Jeff Keating! 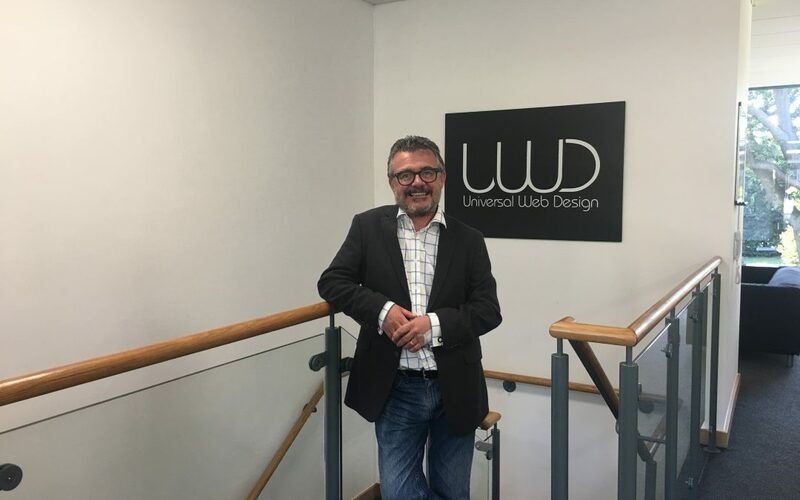 in which Mark Tuxford chats with UWD staff members about their time in the office and what they’re up to, we catch up with Head of Sales, Jeff Keating, the man whose experience has fired his previous companies into the spotlight. The sight of Jeff securing sales has become a gratifyingly familiar feature of his career to date, the man known as ‘Jefferson’ has made an immediate impact since joining the team at Universal. The scouse-spoken and honest salesman’s career has included working for many high-profile organisations, selling to well known brands across the country to match. Jeff has an extensive knowledge within Search Engine Optimisation and is best to speak with regarding your own campaign, where you can gain more exposure on search engines such as Google. Having grown up in sales environment and then becoming a professional, the sales world is the only one that Jeff has known. Listening to Jeff, you get the sense that he was, and still is, someone who knows what he wanted out of his career. To some, leaving the bright lights and home city of Liverpool and moving to London may look to have been a big gamble, but it was one that he had considered carefully and is now reaping the benefits. Jeff is now firmly settled in the Essex area with his family alongside his pivotal role at UWD. Jeff, who is one of our most experienced team members in terms of age, heads the sales department at Universal, where the rest of the sales team work in tandem under his expert guidance to bring in sales for the company. Jeff only wants to build on his success so far and refuses to rest on his laurels as he looks to take Universal Web Design to the next level. We’re all about the personal touch within our company, and with this in mind a Q&A is a great way to get to know the team on a business and personal level. So, without further or do, let’s see what Jeff has to say in his Q&A! I love too many – anything by Muse, AC/DC, Genesis, Pink Floyd, The Killers or Foo Fighters! – What is your favourite motivational quote? Now you’ve got to know Jeff a bit better, you have the opportunity to come in a meet him at the UWD office and discuss your new web and marketing requirements. Alternatively, you can reach him via email sales@universalwebdesign.co.uk or call Jeff today on 01206 588 000.